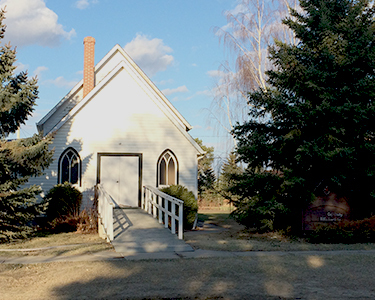 Borden United Church welcomes you! We, the Borden United Church family, grow in faith through music, study and prayer. We show our faith by caring for others in our church, our community and seeking justice for all in God’s creation. Our church holds fund raising events, not only to raise funds, but also as a way of reaching out to get to know others in our community. Some of our activities throughout the year are pancake supper for Shrove Tuesday, barbeques at the local farmer’s market; ecumenical services for World Day of Prayer, Good Friday, Borden’s Diefenbaker Days and Blue Christmas service; collecting food items for the food bank, cloth for the Cloth for Kids program in Saskatoon, change for "change” in the wider world. Whether you come often or only once in a while, and whether you’d like to become involved or just come for worship, you are always welcome.